As the leading zero-emission mobility operator in Europe, we are committed to the development of digital, technological and energy solutions, enabling the cleanest form of transport and adapted to changes in user practices. Our sustainable and citizen mobility commitment is reflected in our range of electric vehicles. As a major partner of local authorities in regional energy transformation projects, we provide self-service car fleets in La Rochelle, Nice and Lyons, as well as electric taxis in the USA and the UK, and autonomous vehicles in Rouen, etc. Our value-added: electro-mobility solutions adapted to meet the specific geographic requirements, climates and uses of each region so as to develop a customised offer. In March 2018, we won a 15-year concession to operate the largest electric vehicle fleet in Europe in the Amsterdam area. This is one of the largest electric fleet management contracts in the Netherlands with projected revenues of €1.9 billion over 15 years. The Greater Paris region (Île-de-France) is widely recognized for its economic and cultural dynamism and its attraction for tourists. However, it is also faced with the saturation of its road network feeding the urban, suburban and even rural areas. With this in mind, a comfortable, high performance public transport network is an absolute necessity from a strategic viewpoint. 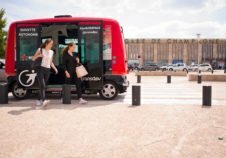 Île-de-France Mobilités chose Transdev to help achieve this. To meet the demand of the Amsterdam region to operate a zero emission fleet, we opted for the deployment of electric buses. To ensure continuous service, these buses are recharged at the end of the line using a fast charge system and are fully charged at night. An additional benefit? The electricity used comes from renewable energies. With Amsterdam, we are the first zero emission mobility operator in Europe! 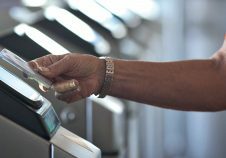 In the Netherlands, Transdev won the 2016 public tender for the renewal of the Hermès concession in and around Eindhoven. This has made us a major player in the province of Brabant, a region that is engaged in zero-emission transport in a country that is a pioneer in sustainable solutions. In both Umeå and Eskilstuna, we are supporting the future development of urban bus transportation. In both of these towns, electric mobility is an important factor when it comes to improving living conditions for inhabitants and is helping drive changes in their energy model. 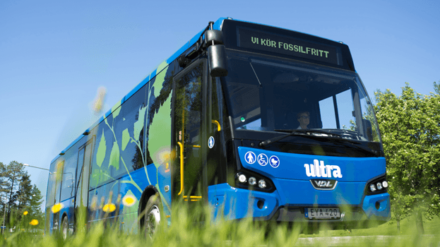 In Umeå, we acquired 9 rapid recharge buses. The main feature of these buses is the equipment which is adapted to cope with the extreme temperatures in the north of Sweden. Being committed to the energy transition, we have created an international community of networks and experts to share their experience of different ways of using 100% electric vehicles. Living Lab also held events in Eindhoven, in the Netherlands, and in Nice and Enghien-les-Bains in France. The 3rd edition was held in 2017, with 95 participants. 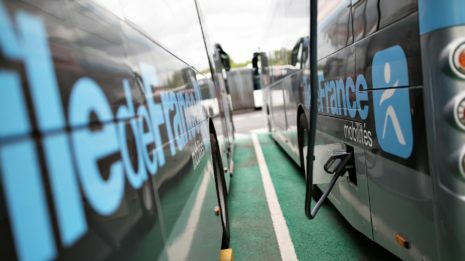 trickle-charge buses, which meet criteria for innovation, integration into existing infrastructure and customer satisfaction (Nice Airport in France). 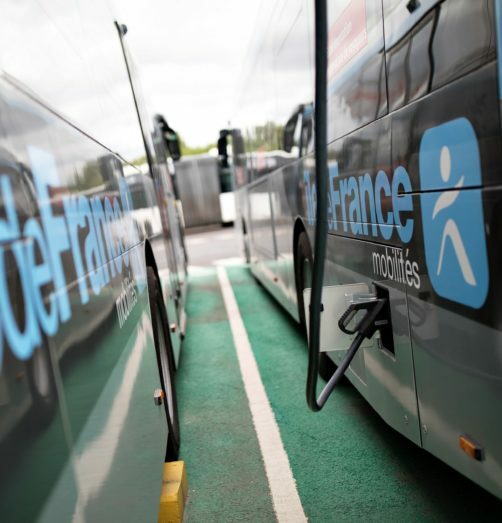 Since December 2015, we have been operating an electric bus line on the R’Bus network connecting the stations of Argenteuil and Sartrouville. The bus batteries have a sufficient range to ensure a day’s service without being recharged. Autonomy is optimised by an "intelligent battery charging system" designed to meet the operating needs in terms of charge and battery temperature. Against a backdrop of constantly changing user practices and the in-depth transformation of mobility, our business vision is focused on building a mobility solution that is Personalised, Autonomous, Connected and Electric (P.A.C.E. ).